Light, lemony, lovely. Another keeper for the Meatless Monday (or any day) file. 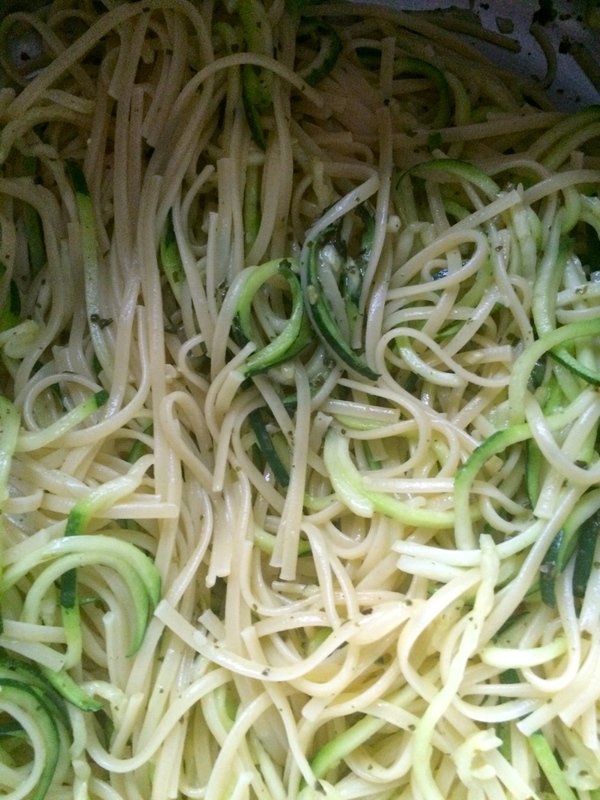 Becoming a huge fan of substituting spiralized zucchini for half of the pasta in recipes. The flavor is elevated in this dish by squeezing half a lemon over the finished product just before serving. 1. Spiralize the zucchini using the “spaghetti” blade. Trim to appropriate lengths. Place in a colander, sprinkle with a bit of salt and let drain. 2. Spiralize (or thinly slice) an onion. Mince the garlic. 3. Saute the onion in a tablespoon of olive oil until it softens. Season with a couple of shakes of red pepper flakes, salt and pepper. Add the garlic and cook for another minute or two. 4. Add the can of tomatoes with the juice. Crush the tomatoes and blend with the onions. Add a pinch of sugar. Bring to a boil. Lower the heat to medium and cook until the juice is reduced by about half. 5. Add the spinach leaves and stir to combine. 5. Boil the pasta in salted water until it’s al dente. Reserve a cup of pasta water in case you need to lighten the sauce. Pour the cooked pasta, water and all, over the zucchini that’s resting in the colander. Return to the pot. 6. 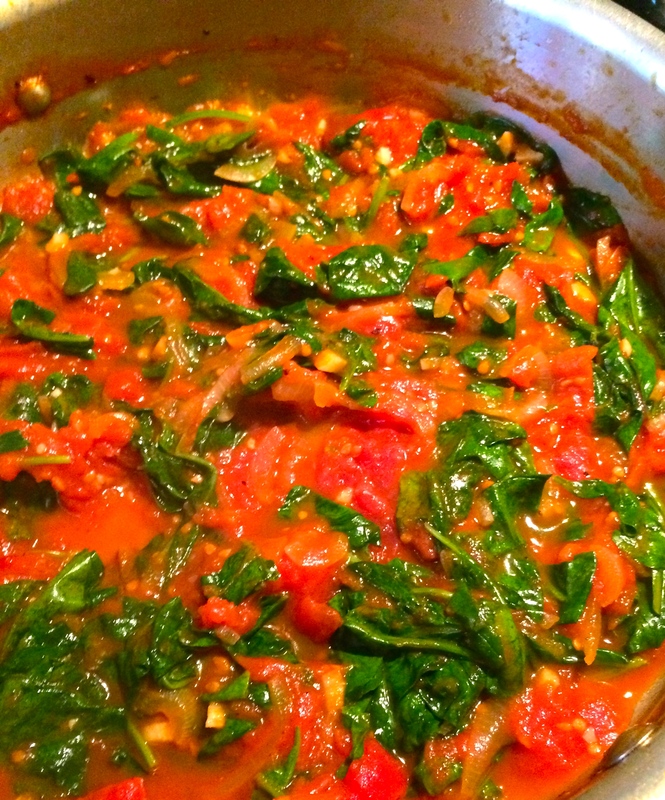 Add the pasta/zucchini mixture to the tomato/spinach sauce. Stir well. 7. Squeeze a half lemon over the finished pasta dish. Stir to combine. 8. Serve with additional garnishes, and let people add what they wish.